Podgorica, (MINA) – The role of the OSCE Mission in Montenegro is exceptionally important for the implementation of reforms and democratization of the society, it was heard at a meeting between Podgorica Mayor Ivan Vukovic and Head of the OSCE Mission Maryse Daviet. 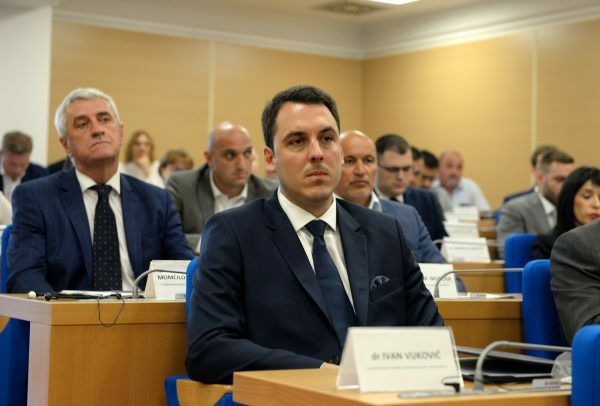 According to a press release from the Capital City’s Public Relations Office, Vukovic underlined the importance of building the capacities of the Podgorica Election Commission with a view to implementing new standards when it comes to election legislation, as well as the support to exercising the rights of vulnerable groups. “The Mayor welcomed the quality of cooperation with one of the most significant international organizations, both at the national and local level, while voicing confidence that the cooperation will contribute to the systematic strengthening of institutions and continued advancement of fundamental European values,” the press release stated.